Slow week last week and only finished my marders as you can see below. 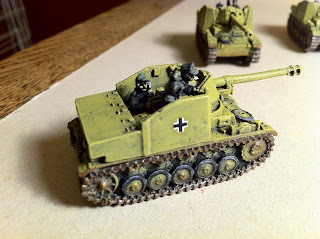 This week I am going to try and get my nebelwerfers done and maybe my armoured cars, my light panzarpah platoon. Haven't managed any more games of FOW so need to remedy that in a hurry. looking good. Need some weathering maybe? 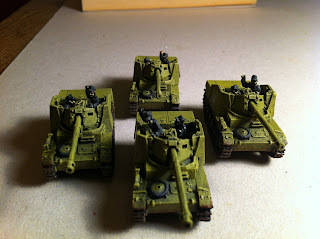 No they do but I have got lots more to paint so that will be for the future.